Some years ago I wrote an April's Fools post about legalizing Homelands. It was in a sense a comment on the contemporary discussions about legalizing Fallen Empires; hopefully getting in a few laughs and some tomfoolery in the process. It was of course never the intention to actually legalize the set, the focus was rather to flaunt the premise. Enter irony. Not Alanis Morissette "rain on your wedding day" irony, but proper text book irony. In celebration of the the fifth annual Arvika Festival next February, KungMarkus decided to legalize Homelands for his tournament. He's not opening the doors for dilly-dally like Revised nor Fallen Empires though; only Homelands will be added to the traditional "Swedish legal" sets. And he mentioned that he found inspiration in that old April's Fool post. So by ridiculing the fiction of having Homelands legal it somehow became fact. Irony. Now here we are, and I for one have gotten properly excited to brew in this space. So let's travel to Ulgrotha - for real this time - and take a peek at what the expansion has to offer. Considering the era in which they came, the spells of Homelands are actually not that horrible. Though the high end cards are probably the worst of any set. 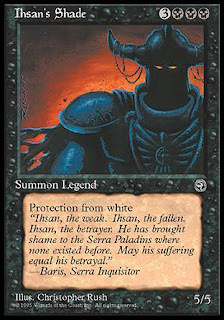 And I remember how it was both overprinted and the only new expansion to be released in the full year between Ice Age in June 1995 and Alliances in June 1996. Heh, come to think of it, the drought in exciting cards during that period was probably the reason a majority of the players at my school took a pause from the game. Yeah, it was a bad set, and the mediocrity of Homelands almost killed Magic. But is it, on average, worse than e.g. The Dark? While the true high end of The Dark - Fellwar Stone, Blood Moon and Maze of Ith - would make most comparisons skew in that sets favor, I believe Homelands have a larger total number of cards that could possibly see play. In a small enough card pool, any addition is bound to have some effect on the meta, and 93/94 is about as small as a constructed card pool gets. Let's start from the top. Unlike any cards from The Dark or Legends, Merchant Scroll has the rare distinction of being restricted in Vintage. Markus opted to keep the Scroll restricted for the upcoming Festival tournament as well. As a cheap tutor it gives consistency to broken cards and also offer a surprising amount of flexibility. Though I suspect that it will search for Ancestral Recall about 65% of the time, Mana Drain about 30% of the time, and only the last 5% it will find something like Psionic Blast, Hurkyl's Recall, Boomerang or Blue Elemental Blast. It is clearly less flexible than Demonic Tutor, but considering how often the Tutor searches for Ancestral Recall, Merchant Scroll is sure to see a lot of play at the top tables. While Merchant Scroll mostly serve to reinforce existing strategies, Homelands also bring some heavy hitters that beg for build-arounds. 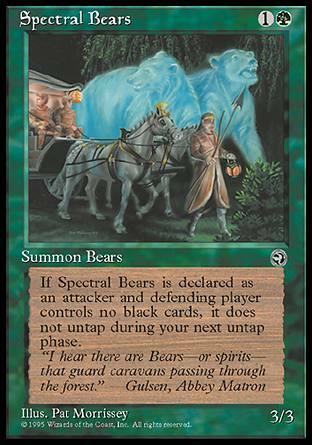 Primal Order is my personal favorite card of Homelands, and was the original "chase card" of the set. MonoGreen strategies are traditionally not the sharpest blade in 93/94, but the Order gives us some proper incentive to go green. As distressing cards go, this is comparable to Underworld Dreams in punishing people for trying to grow resources. The jury is still out on the best Primal Order deck, but I wouldn't be surprised to see people try out green midrange or even new builds of Enchantress with the card. I have a home planned for my playset at the very least. Ah, the epic Baron Sengir. So close to playable. The original playtest version of the card was a 5/5 flier for 3BBB that removed all the counters from vampires it regenerated, and rather than getting +2/+2 for killing a creature it got +1/+1 for killing an opponent. Having a slightly improved regeneration ability and a smoother way to get counters doesn't really offset the two additional mana to summon though. Seriously cool dude, but I can't see him shine outside something like a monoblack All Hallow's Eve deck. I will however offer an high five to anyone who tries. You could clearly play him just because he's rad. And he does combo nicely with Nettling Imp I guess. There are zero creatures in the original 93/94 cardpool that survive both Lightning Bolt and Swords to Plowshares. Homelands bring two to the mix with Autumn Willow and Ihsan's Shade. 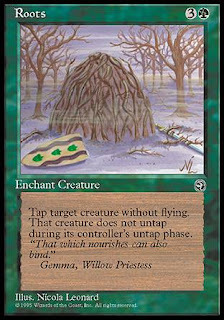 Autumn Willow was the first creature printed with shroud / hexproof. As such, she also laughs in the face of The Abyss. One of the first times I played against The Deck at a convention in 1996 Autumn Willow was in fact one of the finishers of choice. 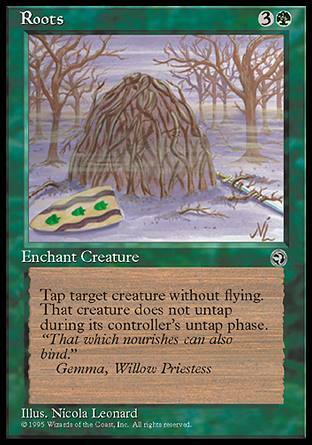 She also became a mainstay in ErhnamGeddon decks, to the point that many players in the area started referring to them as "WillowGeddon" decks. The most black of knights. 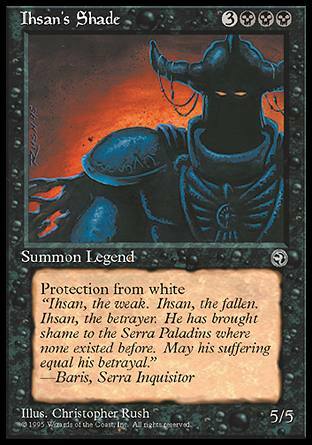 Ihsan's Shade is well above the curve as 6-drop threats went in 1994. Its power level is not far below the gold standard we find in Shivan Dragon and Mahamothi Djinn. Trading flying for being invincible to Elemental Blasts and Swords doesn't seem like that bad a deal. There's a lot to unpack with Homelands's midrange threats. E.g. Eron the Relentless (a five-mana 5/2 haste creature that regenerates for RRR) is a properly potent summon. And the original shattergang brothers - Joven and Chandler - may be far less horrible than we expected in 1995. Even commons like Hungry Mist (6/2 for 2GG, pay GG each upkeep or sac it) could be something to look into. It is not like it's an easy card to steal with Control Magic unless the opponent is heavily invested in green, and having a big beater that survives City in a Bottle could have implications. Probably not this one though. Unless you build a sweet control deck with Mystic Decree and Wall of Kelp and have Marjhan as roadblock/finisher. Hm. Might actually be onto something durdly here. Cards on the table. I started writing this post, or at least taking the pictures, a couple of weeks ago. My plan was to finish up a handful posts before a new player entered the family so I would be able to breeze through the updates here while my mind was elsewhere. It worked pretty well, but now I don't really remember what my plan was for these pictures. So I'll have to do some winging here, with a mind all over the place. Removal then, it seems. Serrated Arrows was a contender for "best card in the set" while Homelands was a part of Standard (Type 2). Though much of that had to do with the prevalence of pump knights in ye olde Necro decks. Without a bunch of 2/1s running around defining the battlefield, the Arrows get less ubiquitous. But they still kill a bunch of things in one hit; birds, elves, lions, flying men, pixies, archers, goblins, caretakers, archaeologists and the odd pegasus to mention a few. And they do mess up combat math and bring Angels and Efreets into bolt range. So while not being the powerhouse they were in 1995, I can certainly see the arrows fit into Transmute Artifact decks if nothing else. This is a painfully terrible card. Among my stranger Magic losses was a Reject Rare Draft around five years ago when I, for real, lost a winning game as my opponent topdecked Mammoth Harness to bring my Cockatrice to the ground. I guess every card will have their moments, though I suspect them to be few and far between for the harness. This is a reserved list rare by the way, though one I predict will dodge any buy-outs. A side note as Homelands removal goes: many of these cards fly straight in the face of modern design and color pie concerns. I picture Mark Rosewater shaking his fist somewhere. Like this one. Green is supposed to only handle flying creatures, Roots somehow does the exact opposite. A sick combo with Mammoth Harness though. It feels a little distasteful to highlight Mammoth Harness and Roots too deeply when we are trying to look at the bright side of Ulgrotha. So let's check out a few other random nuggets instead. Hey, Wall of Kelp! That's the most expensive card in the set these days! It is like $6 for a NM copy at CardKingdom. Not too shabby. 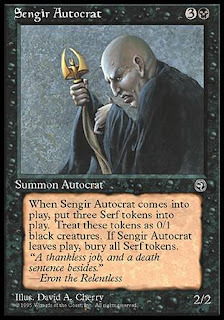 In most decks that want tokens, I'd probably play Sengir Autocrat instead, but maybe someone will be able to break the wall. (Hint: It may be durdly and involve Marjhan and Mystic Decree). Headstone is surprisingly playable, wrecking Regrowths, Recalls and a litter of reanimation spells, all while drawing you a card. Just being able to cycle it is not that bad a deal either. And Joven's Ferrets could most certainly find a home in the green 1-drop deck we've seen the Russians play at n00bcon a few times. Random fact: Kyle Namvar - who along with Scott Hungerford designed and developed Homelands - had a pet ferret. Initially the set had several ferret designs to commemorate this, though only Joven's survived to see print. These may have been Spectral Ferrets in an alternate timeline. Pretty nice stats on this one btw. Memory Lapse should also be able to find a home in combo or tempo decks. 1U is far easier to find than UU in most decks. And there are certainly scenarios when a well-placed Lapse will be equivalent to a Time Walk. I could go on. I could mention Sea Sprite and its success in the early days of the Legacy format. Rant on about Jinx as a way mess with Factories, or how Roterothopter is a nice mana sink in red burn and help Atog fit in the 2-slot in Sligh. Homelands may have been far from a home run, but it was by no means a complete strike out either. I think WotC themselves said it best in their hilariously mid-90s commercial. "As you'll discover, there's much more to this new world of Homelands. A world of intrigue and magic. Not to mention, surprises..."
Enjoy this one, and best of brewing until the Festival in February. Just a little nitpicking: Wall of Putrid flesh is a creature (the only one) from the original 93/94 card pool that survives both Lightning Bolt and Swords to Plowshares. Great read! 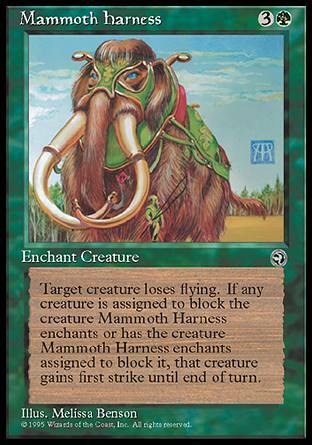 There are some sweet cards in Homelands, would lite to use the 95 version of Aether Vial (Didgeridoo) but them minotaurs seems bad. We did a homelands draft a couple of years ago, bats with feast of the unicorn is awesome! I got a Reveka and 2 Anaba shamans, and killed a veldrane and a Mist (i Think) with a broken Visage. That card is a house! The Lurker is close to survive the bolt-plow test, it survives the Chain test though.